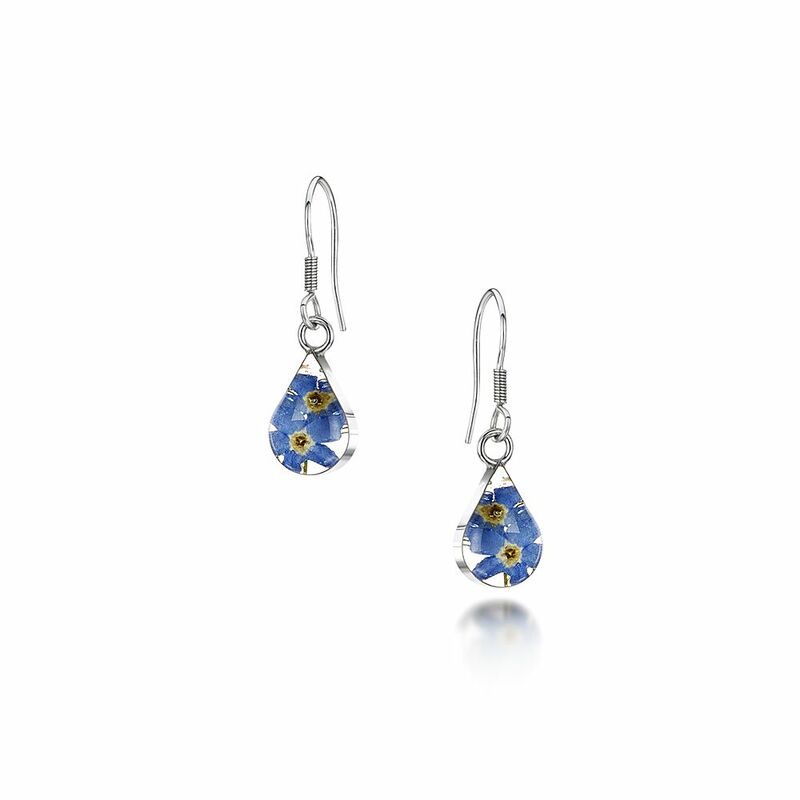 Sterling Silver teardrop earrings handmade with real forget-me-not flowers . Includes stylish gift box. Perfect gift.